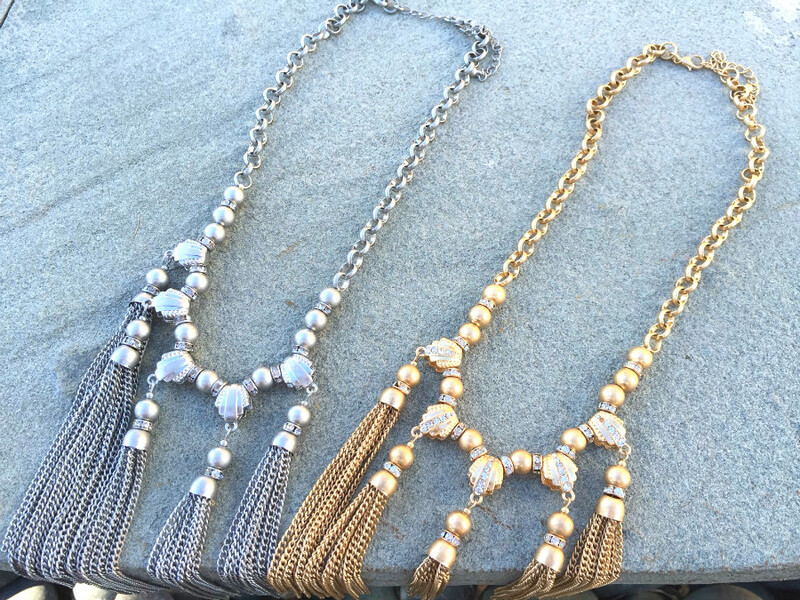 Tags: statement necklace, tassel necklace. This necklace makes a statement with tassels galore and tiny rhinestones accents along with matching tassel earrings. Dress up a casual top for a daytime outing, or accessorize with a dressy blouse for a night out on the town. 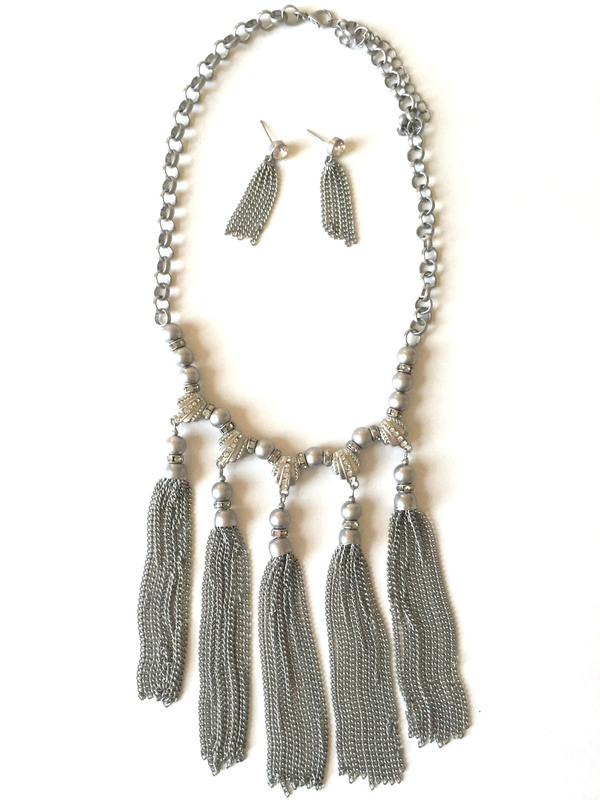 Available in matted silver or gold.